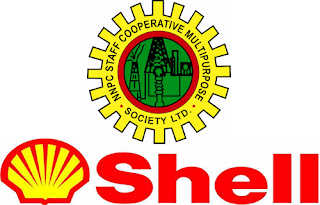 Application for the Shell Petroleum Development Company of Nigeria Limited, SPDC Postgraduate Research Internship for University Students for 2020 Ongoing - Apply Now. Applications are invited from suitably qualified candidates for the 2020 Postgraduate Research Internship for University Students in Shell Development Company, SPDC. The Postgraduate Research Internship provides opportunities for Nigerian post-graduate students (M.Sc., M.Phil. and Ph.D.) to gain industry-related work experience and carry out topical research within Shell Companies in Nigeria. RECOMMENDED: 2020 Shell (SPDC) JV Sabbatical Attachment for University Lecturers. A curriculum vitae including, applicant's phone number, email address, as well as three referees with their contact information. Scanned copy of the data page of applicant's international passport or National Driver's licence. Applicants should not send any additional document apart from those listed under "Method of Application." Applications from persons who have previously benefited from post-graduate research internship in any Shell Companies will not be considered. Only qualified candidates will be contacted.